Another awesome application to come out of the Play Store today is the FoxFi app. 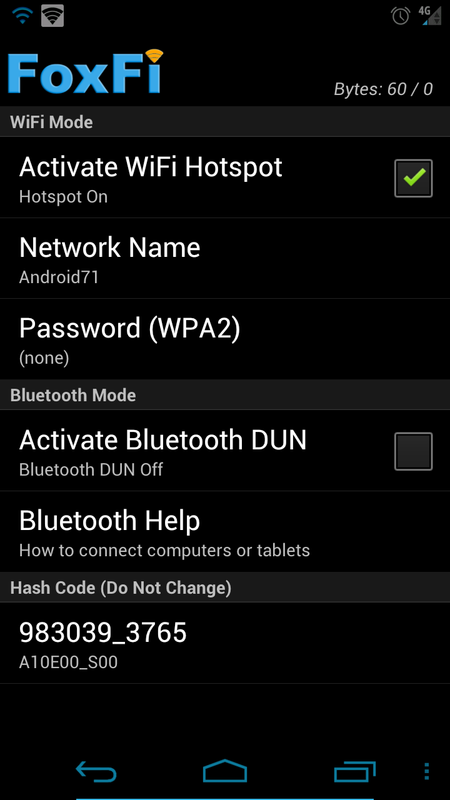 It allows you to use WiFi and Bluetooth tethering on your phone without the added cost of a tethering plan on your carrier’s bill. The best part is there is no root required either so you can install and be up and running in minutes. The app allows you to create networks to use with tablets, laptops or gaming consoles even and lets you create a SSID and password all to your liking. There are many phones supported but there are a few that FoxFi is still working on getting up and running. Users with the Galaxy Nexus and DROID RAZR are reporting no problems whatsoever so head on over to the Play Store and start tethering. Cheers Steve, Aaron, and Mike! Tablet Optimized Call of Duty: Elite Application On The Way, Will It Make Up For Horrible Phone Launch?